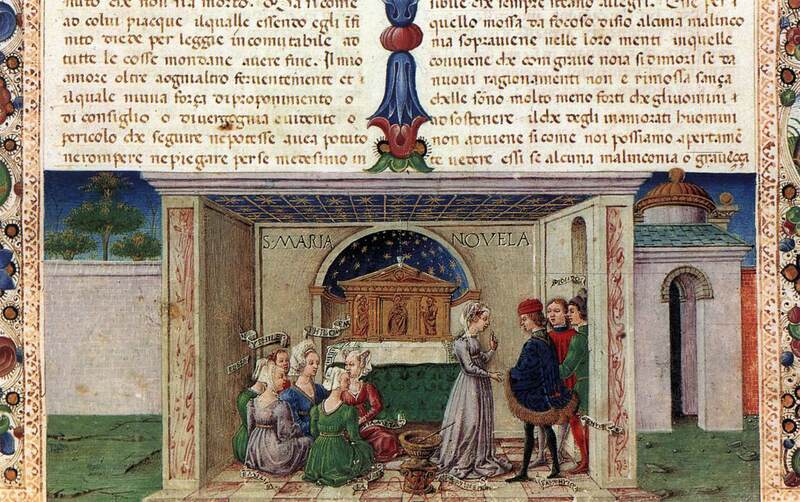 The Decameron by Giovanni Boccaccio is a 14th century collection of novellas. Written in 1351, the Decameron follows the fictional story of a group of ten friends who flee into the Italian countryside to escape the plague. For ten days, they take turns telling stories of love, lust, tragedy, and morality. This website serves as a representation of our exploration of the frame narrative found within the Decameron. The ten storytellers in the Decameron are Pampinea, Fiametta, Filomena, Emilia, Lauretta, Neifile, Elisa, Pamfilo, Filostrato, and Dioneo. Trivia question: Who is typically the last storyteller of each day in the Decameron? Click here to answer it!